This week our sketch is based on a card that I did HERE. Here is my retake on my card. I was inspired by Lizzie Jones card HERE. I love that she put the inverse pieces back into the die as inlaid die cuts. 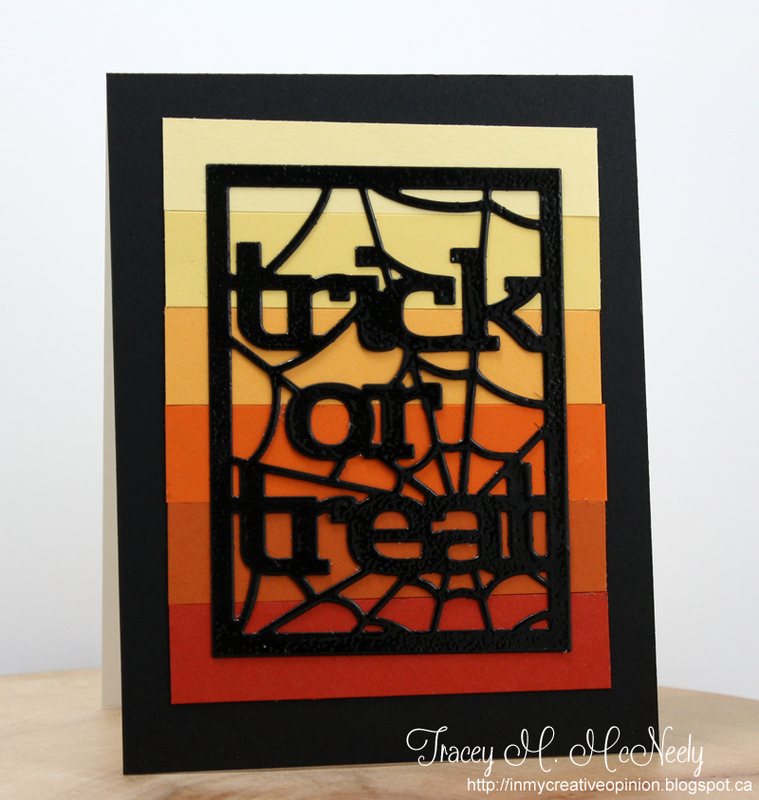 I clear embossed the frame and used colour blocking instead of stamping. 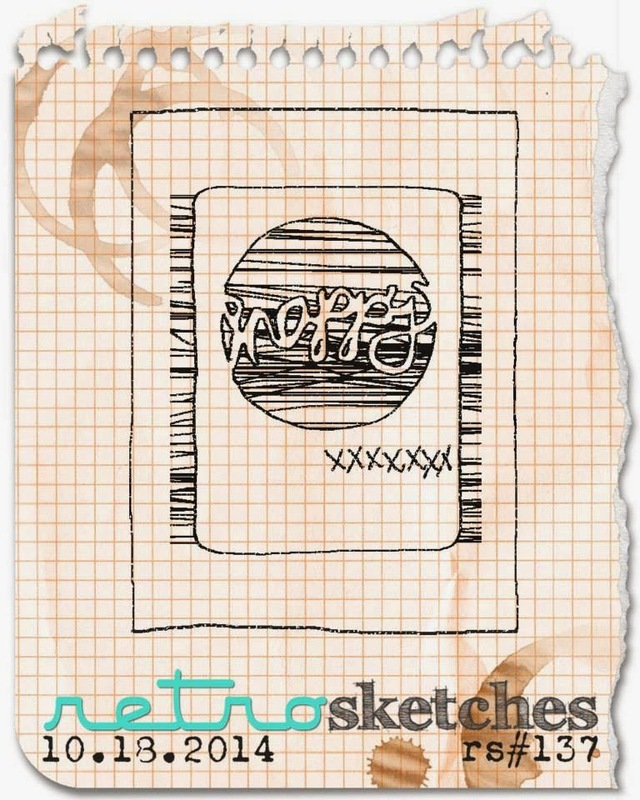 Head over to RetroSketches today and give this sketch a try, I can't wait to see what you do! 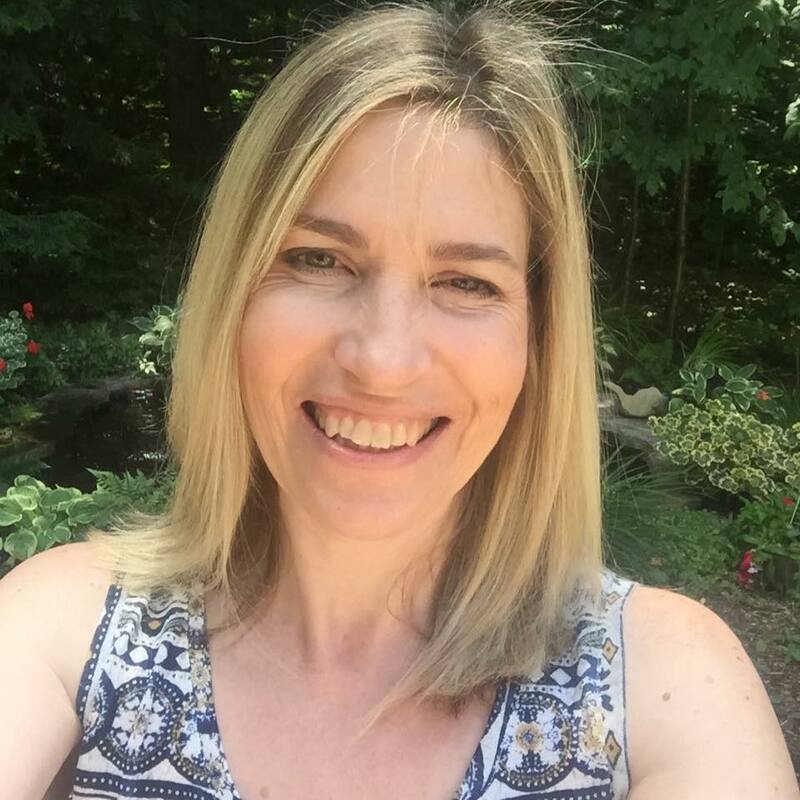 Love your big strips for the background, Tracey! and adding that clear embossing to your words really makes it pop! Tracey, this is so much fun! Love that diecut! Wow, this truly is an awesome take with the sketch and use of die! You have created a Halloween BEAUTY here, Tracey! Awesome card. I love the ombre. LOVE the black against the ombre stripes Tracey! LOVE how you did the background.. awesome card.. This is da bomb Tracey. Oh I love the embossing on the frame. Gives just the right touch of shimmer. I love the ombre effect on your background, and all the shine on the spider web! You did an amazing job on this card, Tracey! OMGosh what a PRETTY Halloween card!!!!! Ooooh totally love this Tracey! The way you layered the card stock is brilliant!! Wow, this is so cool, Tracey! I love the shine from the clear embossing and those strips of paper are so pretty! Oh, thought I had commented yesterday when I saw this card. Well, you know that I raced right to my craft room to make a card to play along, so you know that your card had a big impact on me. Love your color blocking, and I may just try this challenge one more time. Your colour blocking behind the panel is perfect, what a funtabulous card Tracey! REally cool, Trace... I haven't been to Retro in a while; must try to get with the program!! I know I'm super late with comments but love your card! 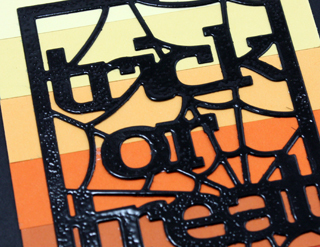 The color blocks look fantastic and clear embossing is such a great shiny finish! This is a BRILLIANT take on the sketch! Love the wide ombre stripes!